You must purchase a competitor pass to enter any main tournament. All sales final. Super Turbo will sell out. To enter a main tournament, you must purchase a competitor pass and entry to that tournament. You may enter any (or all) of the main tournaments as long as you purchase a competitor pass. Your competitor pass includes admission and unlimited play at Free Play Arlington on Friday, Saturday, and Sunday (April 12 – 14), a $30 value. Side tournaments will require a $5 pot fee with registration at the venue. All travel players are encouraged to arrive April 12 for a day of casuals and machine tests. Main event registration ends April 13 at noon and matches begin shortly thereafter. Additional scheduling information to be released as finalized. 3. Are Japanese players attending? There are currently five confirmed Japanese players with travel provided by Free Play Arcade. The player specifics will be announced in the coming weeks. 4. What additional features will this event feature? 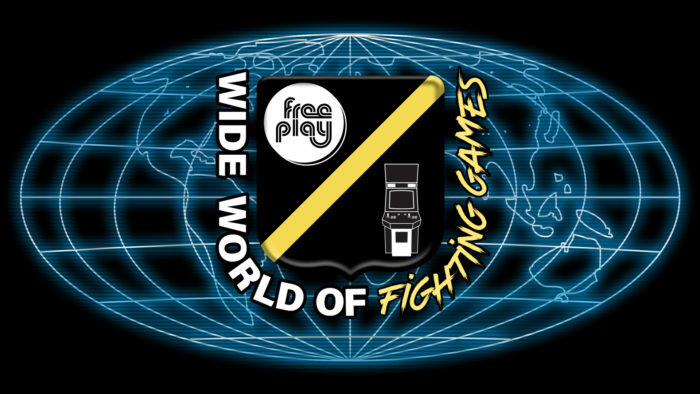 Numerous additional arcade and console fighting game setups will be on location at Free Play Arlington with the full lineup to be released as finalized. Fighting games on Sega Saturn, Sega Dreamcast, Nintendo Gamecube, Playstation 2, Playstation 3, and Playstation 4 will be featured. Free Play Arlington will also have food and drink specials throughout the event. 5. Is the event spectator friendly? Yes! We will have the event brodcast locally on numerous screens around the arcade with theater-style viewing of the main stage. Spectators are subject to the standard $10 arcade admission each day and gain access to more than 140 arcade game, console games, and pinball setups! 6. Will the event be broadcast on Twitch? You may follow along with the event at twitch.tv/freeplayarcade. A secondary channel will be released shortly. 7. What is Free Play Arcade? The best arcade chain in DFW. Meticulously maintained retro arcade games and pinball machines, 100+ craft beer options, and delicious food. Ten bucks gets you in the door and all of the games are set to free play! We are the hosts, judges, and creators of the tournament series. 8. What are the nearby hotels? Most travel players will be staying at the Hyatt Place. Rather than give you a discount code, we advise you to seek the lowest rate through the various silly travel websites that play numerous pricing games. Though you will see prices at $130 per night per room, travel sites will often have rates as low as $60 per night per room.